You can also Download this free Speed Up WordPress Checklist to boost your site speed. From Above Screenshot, it is clear that how well this Speed Up WordPress Checklist works. Now, it’s time for me to walk you through the entire 5-step process of Site Speed Optimisation. Here, is a Quick Over View of the Tools, Plugin, and Service that we are going to use in Site Speed Optimisation Process. 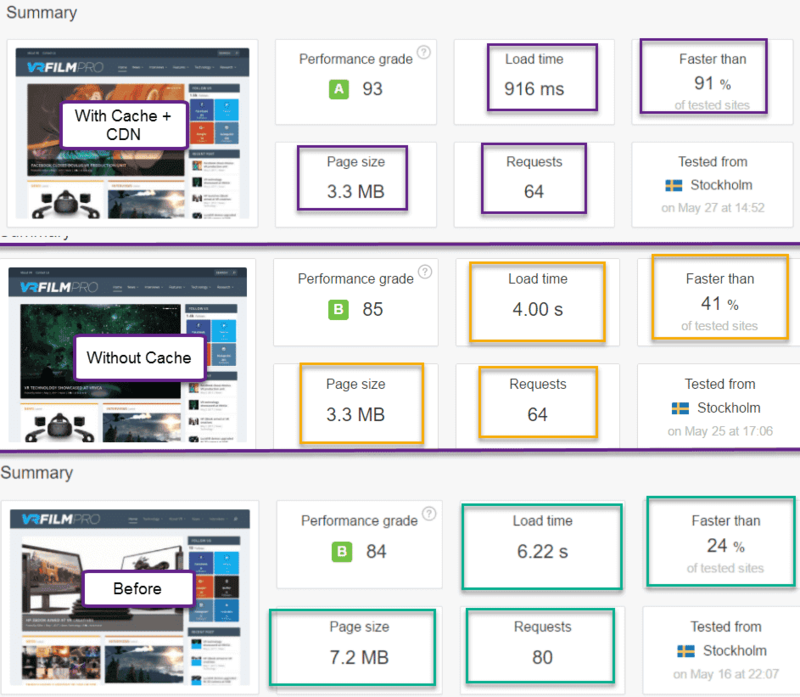 At the end of Site Speed Optimisation Process, we only use CND and WP faster Cache Plugin. So lets we start……..5 Step Process to Speed Up WordPress. There is a lot of tools that we can use to check the status of the Site-Speed. But, I personally use Pingdom and PageInsight Tool to check the status of Site Speed. This Tools will help you to assess the amount of work that needs to be done to Speed Up WordPress site. Note: – Always check your site Speed where your website performing very Poor. It will help you to find all the Factor that affecting your site speed easily. 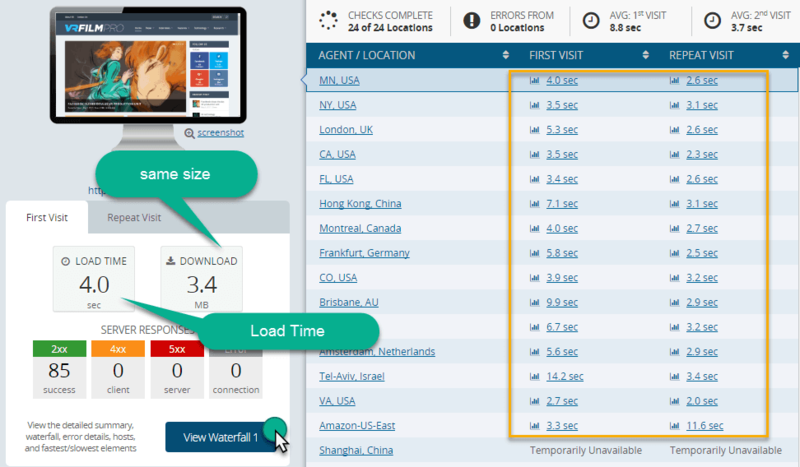 Load Time: – Total time is taken by the User To load (Download) your website or page. Its Primarily Depends upon the Size (MB) of a page and Number Of Request. Page Size: – Page Consists of images, HTML, CSS, JAVA Script etc,,,, the Total Amount of the data (MB or KB) use to make a web Page is called page size and it generally Refers in MB or KB. Smaller page Size means, Fast loading. Request: – Whenever you load a Page from the web servers, It does so using HTTP. which means your computer sends a request for some file. More request means More delay in the loading process of a page. 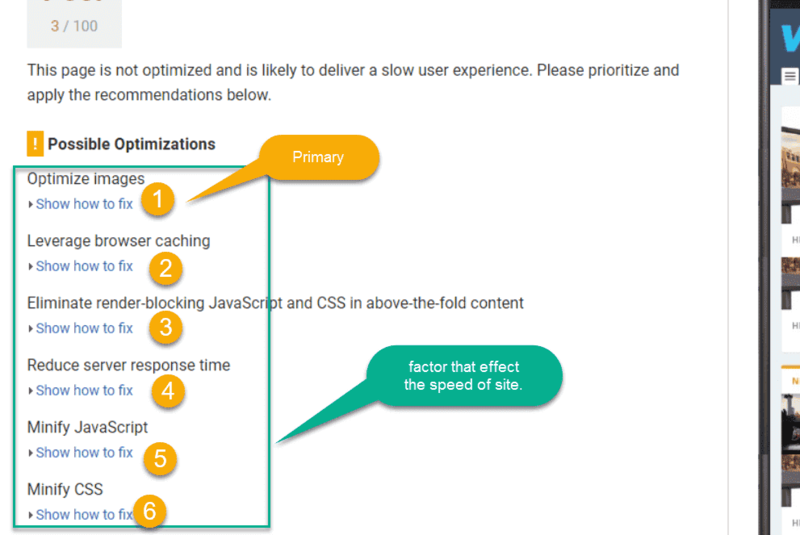 Check the Report and Try to find the factors that affect the speed of the site. From the Report, we can see the total size of the page is 7.24 MB. In which 6.69 MB out of 7.24 MB, is only the size of its images. That means our actual website page size is only .55MB (550KB). VRfilmepro.com is a news site and they use a lot of image on its Home page. Suppose, if we neglect the impact of the image size then our page site is less than 1MB means faster loading of the page. You can see 41 Request is only due To the images on home page. By Reducing the number of images we can reduce the number of Requests. Less request means less delay in the Page loading. 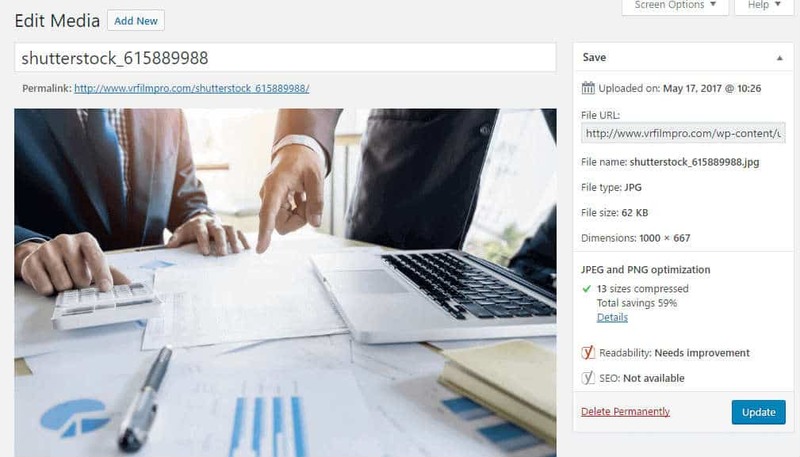 VRfilepro is only the Website that taking the maximum size that is 98.1% and Number of Requests send my the primary domain is 71. VRfilepro has some pages where they mention the image (gif image) of another site in their article. The size of this GIF image is 12.83MB and Vrfilempro content size is 1.46MB. so total size is 14.40MB. Simply deleting that type of image from the content can decrease the loading time of a site. From, Screenshot you can see that there is one CSS file that taking of size 89KB. We can also fix this type of CSS file Request without touching a single line of code. So with the help of Pingdom Tool, We will reach at the end of that, the major factor that affecting the speed of the site is IMAGESSSSSS and some CSS file. Just by looking at these results, we know that the website really needs some improvements. Especially on its page speed. First of all look at the Optimisation of Image Recommended by the Google. Google clearly give us the clear cut view of the images that need some attention. By Optimising these images we can improve the site speed and Reduce the Number of Requests. 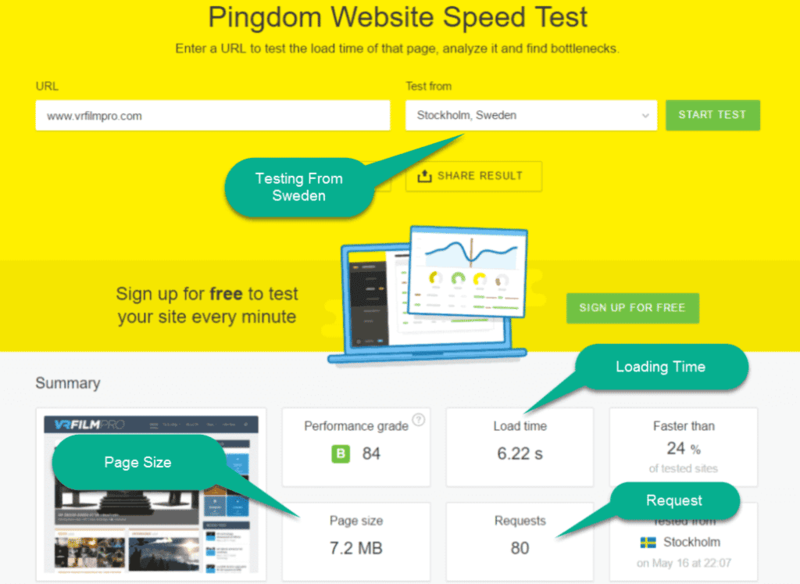 In Pingdom Tool, we have to dig Deeper to find this but in the Google page speed test it just a front of you. Now we also know the Minar factors that affect the speed of the site. Let’s make a list of them. To Speed Up WordPress, we must have to find the Major and Minor factor that affecting the speed of a site. More factor you and find and resolved, faster your website perform. Now, it’s time to Fix all this issue to Speed Up WordPress. 1. Compressing Image manually is a hard and Time taking process but the result is very Good. If your have only a few images on the website, for example near about 80 to 100 then go with the Manually Process. 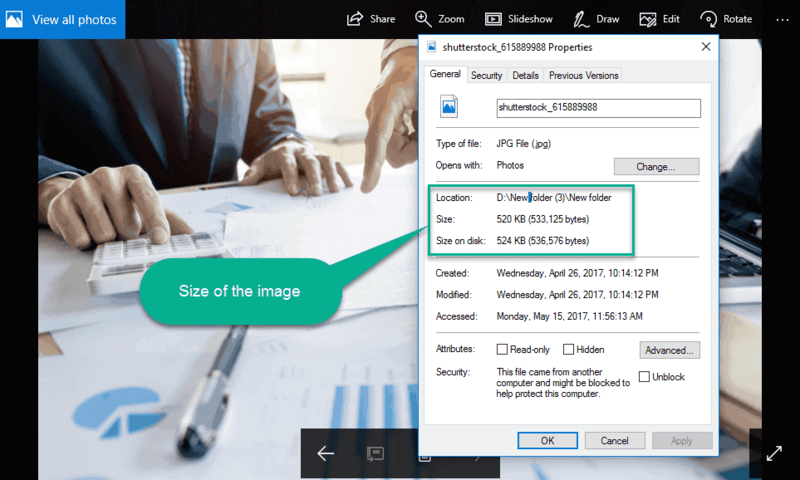 Learn more about compress image size manually. 2. By Using image Compress Plugin. If your site is Large and has a lot of image on it then manually Compressing is very difficult. So here we can use a plugin to compress the size of the images. Compress JPEG & PNG images. First of all, check the size of the image on your Machine (computer). Now, upload the same image on the WordPress two-time to test both tools. Note: – Take a backup of your site before doing anything. First, we deal with WP Smush and then we use Compress JPEG & PNG images Plugin for another image. Download WP Smush (Free/Paid) and Activate the plugin on your WordPress. After Activation of the plugin, Go to Media>> Library. You will see the option Smash Now! in the library. Just click on that and you will see the progress report after a few Seconds. Let, we compress the Second-same image with Compress JPEG & PNG images (500 images Free /after that paid) plugin. First, download and activate it on your WordPress and deactivate the WP Smush image compressor. Again, Go to the Media>>library and check this time you will see the different button. Now click on compress button and check the result with the second plugin. Here, You will see the image size reduce by 59%. Click on Detail to get more Information. You can see a drastically change in the size of the image without Losing its Quality. Open the image and check the size of the image and quality of the image. There is the only reduction in the size of the image but the quality of the image remain same. Now…. Deactivate the “Compress JPEG & PNG image” plugin and Activate the Wp smush again. Go to Media>>Library and check the image already compressed. In some case, You will see an imagoptimisedthen you can Use WP-Smush Plugin to further reduce the size of the image. So, In short, “Compress JPEG & PNG images” is the best plugin to reduce the size of the image in the market. 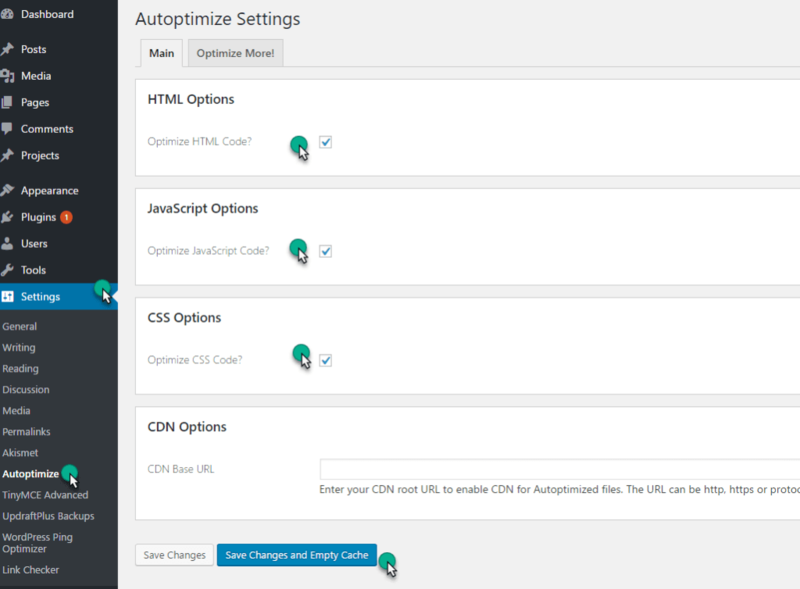 Click on Media and Select Bulk Optimization and hit the start Bulk Optimization Button. You can compress first 500 images free for one month. After and Before Image Data Base Size. Click the Bulk optimization and Wait for the completion of the process. Note: – Don’t Close the window until it complete. Now,,, Our major Problem is solved. Let us look the Pingdom report again. Let us check the Size of the image on the Home page again in the Pingdom Report. See, Homepage Size Reduce from 6.69MB to 2.88MB. Means there is a 3.81MB reduction in the Homepage size. Also look at the Google Page Speed Test Report. Only by just Compressing the size of the image. 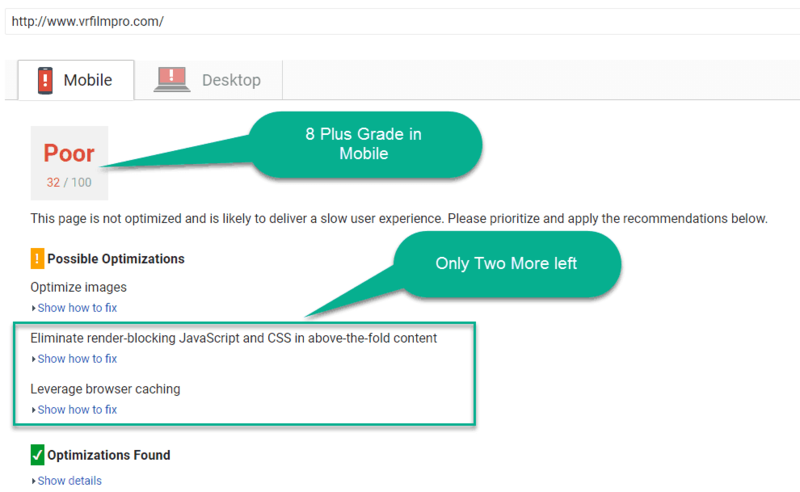 we get 25+ grad in the Mobile and 27+ grade in Desktop in Google Page Speed Test. If you want more grade you have to fix more images. Move your cursor on the top of the link then an address of the image will appear. Copy the link and open in the browser and check the image. Now, Go to your Media>>library and delete the old image and update the post with new compressed image. Note: – More image you fix more grade you will get in the Google page speed test report. Howz Your Site Performing In other Countries? Let us first check the speed of the Site in world Wide Level. 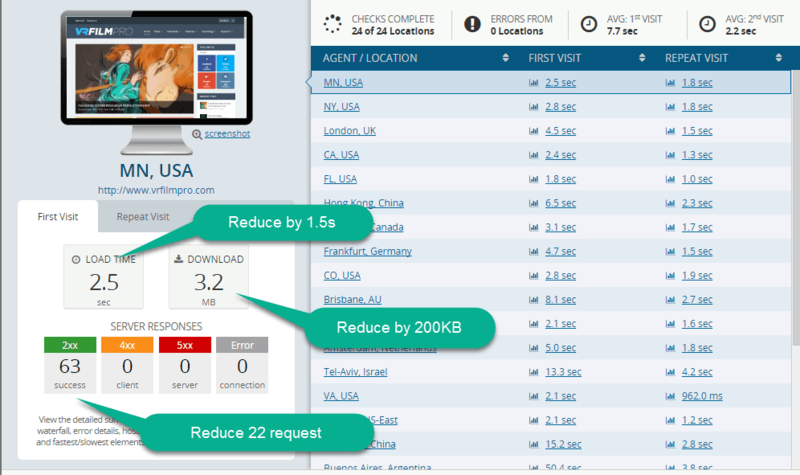 Dotcom-monitor Tool Test your site speed From 24 Different Countries. This Report result almost similar to Pingdom Tool Report result. Click on View waterfall and then click on the summary to dig more dipper. Here you will see the clear cut percentage View of the CSS, HTML, JS and other files. You can also check the number of images on the page and other File. This will help you to check how many images, CSS, HTML, and JS you fixed and how much left. Now you have the status of your site in other countries. Let’s move to the next step. Now, let us Focus on the other factor in Google page speed test report that affects the page speed of the site. Manually Fixing of all these issues is time-consuming and very Difficult process especially for non-Techie Person. But, I personally recommended WP Faster Cache Plugin Because it is easy to use and have a lot of other features to Speed Up WordPress. Check this compression between WP Faster Cache and Other Plugin. Download the WP Faster Cache Plugin and Activate it on WordPress. Now you will see a New Tab ( WP Faster Cache) on the Left side. Open the Tab and tick all the Boxes available in free version and save the setting. Run the Google Page Speed test and check the effect of this Plugin on the site. are now fixed. But some of them still need intention. Manually fixing of this error is very tough and techie process. So, I go with Paid Version of the Plugin. Click On WP Faster cache plugin and then click on Premium tab And Select Buy. Now again Open Wp Faster cache Tab and Tick all the boxes and save the setting. Note: – If you don’t want to buy the plugin that you can use Autoptimize with WP faster Cache plugin. Note: – It may be not working with some site that why I recommended WP Faster Cache Plugin. Again run the Google page speed test and check the report. You will see that Only 2 option are left. 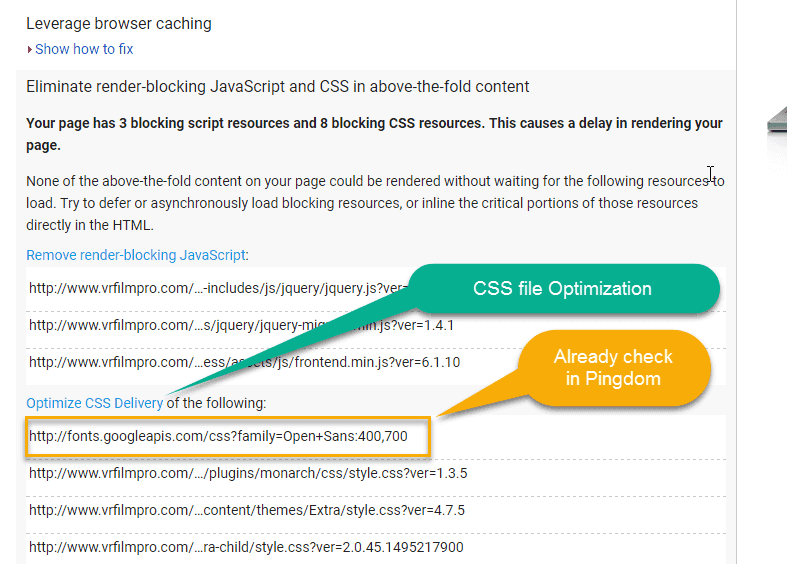 Google Not recommended to fix Leverage Browser Caching for all the pages. It is good for the static website, but if you publish a new post on the daily bases or Update your old Post Frequently then skip this option, otherwise your change will not reflect until Leverage caching not expire. Now, It’s a time to check the site Performance in another country. Run the Dotcom-monitor test and check the performance of the site. See the difference between after and Before the Minar issues. How well Your site now Performing in the Other countries. Why My Google Grade Still Low? Google Speed Optimization Grade Depend upon the number of the error you resolve. Check your image optimization option in the Google speed test. Some image still needs attention. You have to manually reduce the size of the image to get more grade. Let us check the Google Grade of My site www.hitechwork.com. it’s a Normal Blog site and does not, have too many images on the homepage. 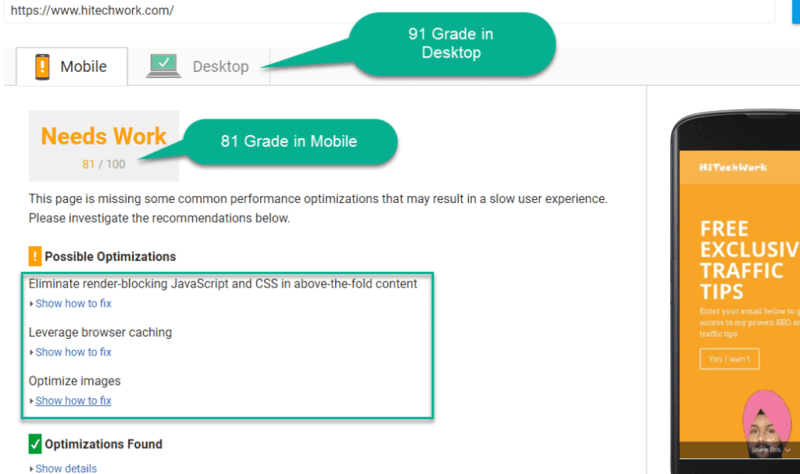 You can see that, I have 81 Grade in Mobile and 91 In the Desktop just due to the WP Faster Cache Plugin. If I Dig the report of the Image optimization, there are only 3 images that not fully optimized. If I Fix this issue then I will cross the 90+ grade. 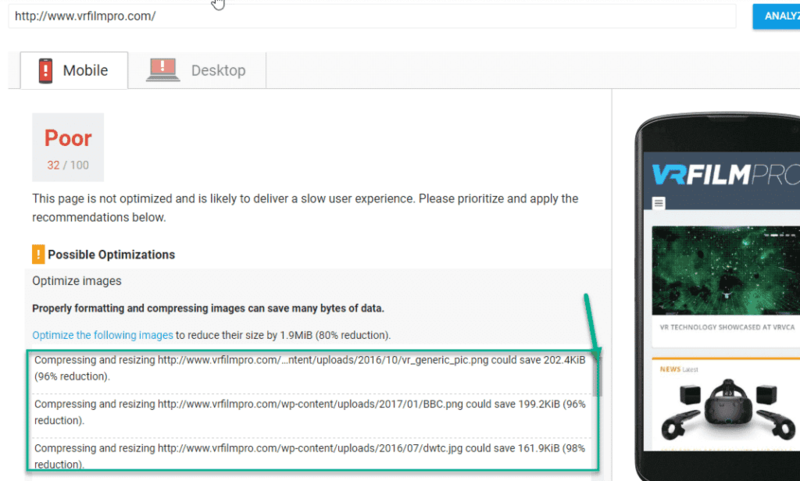 The Most Interesting feature of the Wp faster Cache plugin is,,, The Ability to Compress the image. 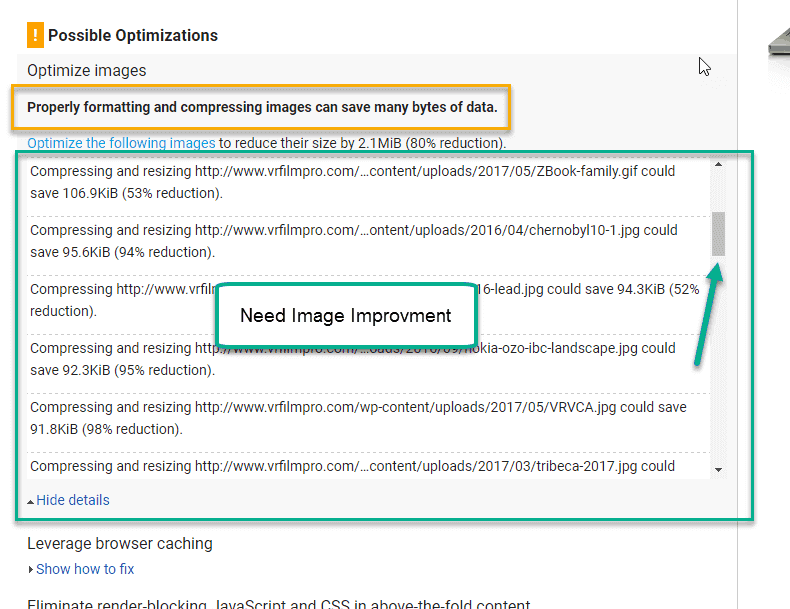 Open Plugin and click on Image Optimization Tab, If you are using a Premium Version. Here, you will compress the size of the image. Again Here we recommended taking the backup of your site before domain anything. 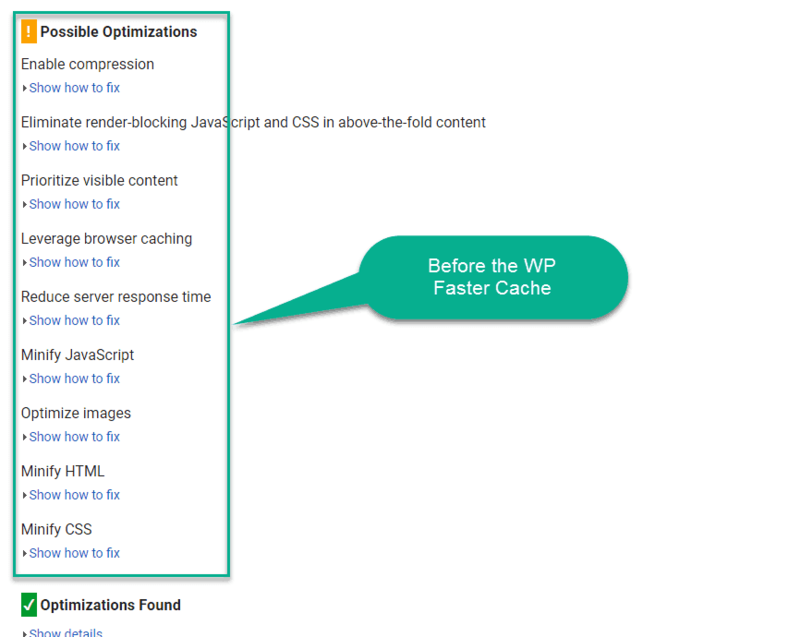 As I told You Wp faster cache plugin have a lot of other option to Speed Up WordPress. Open your Wp faster Cache Plugin and click DB (Data Base). Now Just Click on Red Icon To Clean Up your Data Base. In addition to optimizing your database, this plugin will also remove post revisions, auto drafts, spam comments and more. If you do not have a Premium Version of Wp Faster Cache Plugin you can use WP-Optimizer To clean up a database. 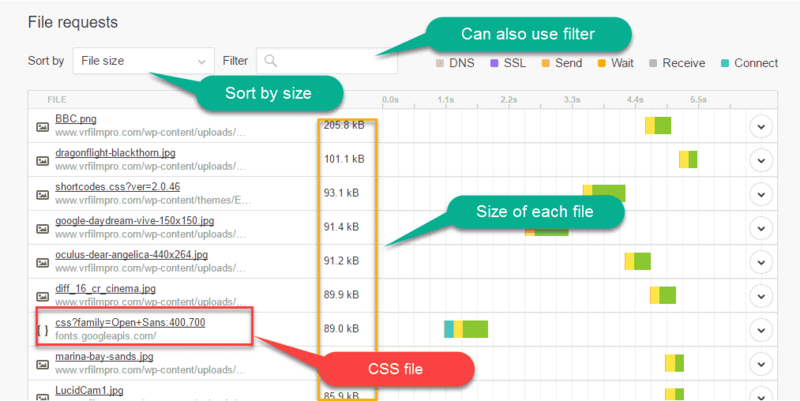 One way to see which plugins are affecting your site’s performance is to use a tool called P3 Plugin Profiler. P3 Plugin Profiler will give you a detailed breakdown of your plugin’s usage and help you determine which plugins are causing the most problems. Find Which Plugin Increasing Load On your site and Delete it or Replace it with other Plugin. Note: – After checking the Report, delete this plugin. 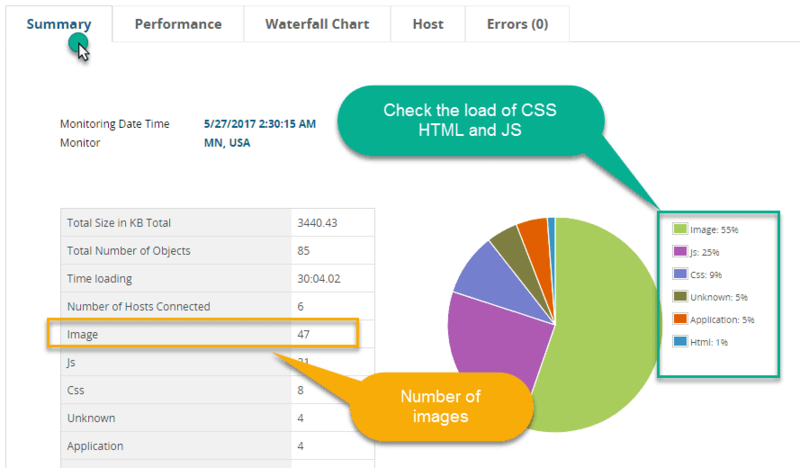 If you are using a W3 Total Cache plugin, you can see in the Report how much it impact on the loading of the page. That why we recommended Wp faster cache. It is Light and faster cache plugin. Make sure you do not have an unnecessary plugin on your site, even in the inactive Condition. It only increases the load on a server or on site. To Speed up WordPress, You can use Content delivery network means CDN To Boost your WordPresss Site Speed. At this time we are using Free service of can use CDN but you can use Paid If you want. Now hit the Scan DNS Records and wait for a movement. here, you will find you’re a new DNS. Copy this DNS and Go to your Domain Registered account. 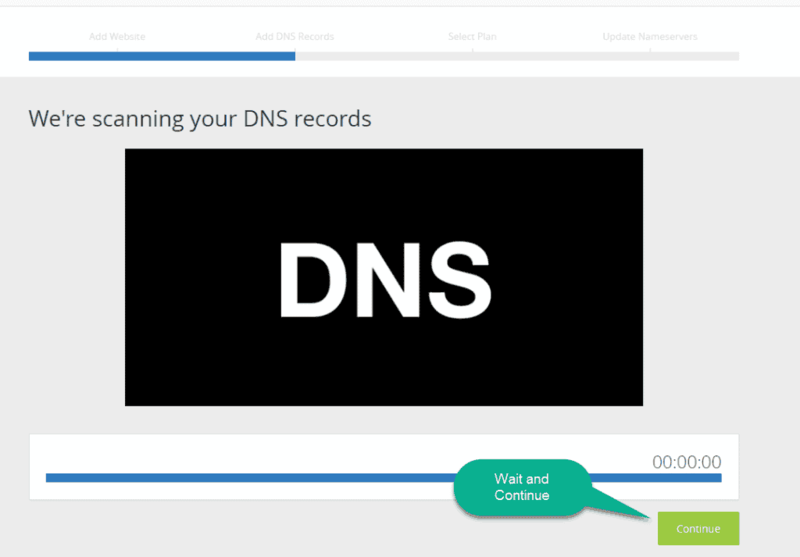 Find Mange DNS and replace your Old DNS with New DNS. 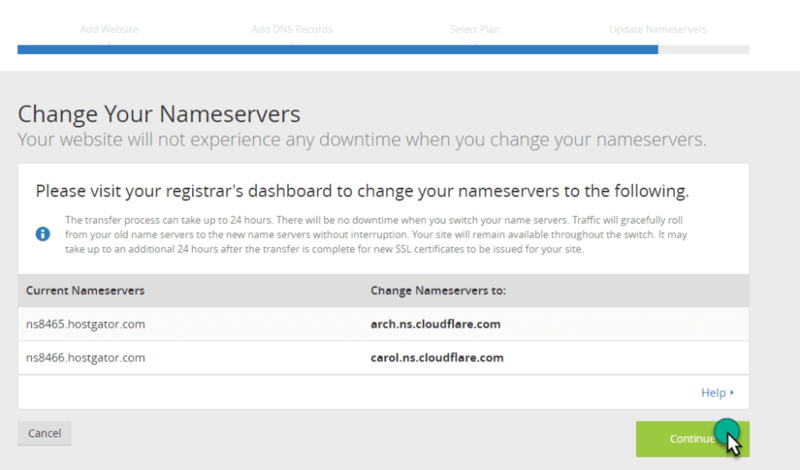 wait for 24 hr to update the DNS setting. 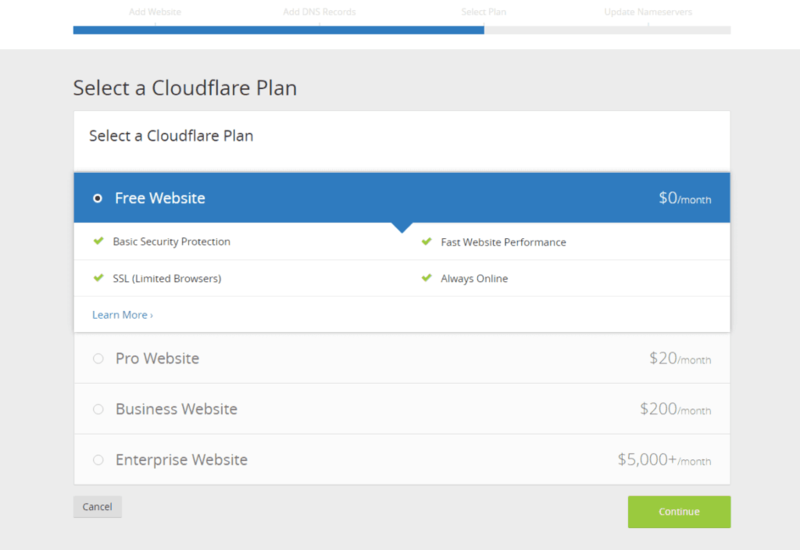 Note: – You have to disable 2 option for the CloudFlare account (by default, it is disabled. but better to check it again) here is a proper guide “Wp faster cheche with CloudFlare“. Now It’s Your Turn to implement this setting to your site and share your site. Step1: – Use both tools to check the status of site speed. Install and activate the Compress JPEG & PNG images Plugin and Click on Media>>Bulk Optimisation And Optimise all the image. Now Use WP Smush to reduce little bit more image size. Step 4: – Optimise your site data Base. You can Optimise your site with WP Faster Cache Plugin but if you not have paid version then use WP-Optimizer to optimise Database. Check which plugin increase load on your site with p3 Performance Plugin and delete or replace with another plugin. 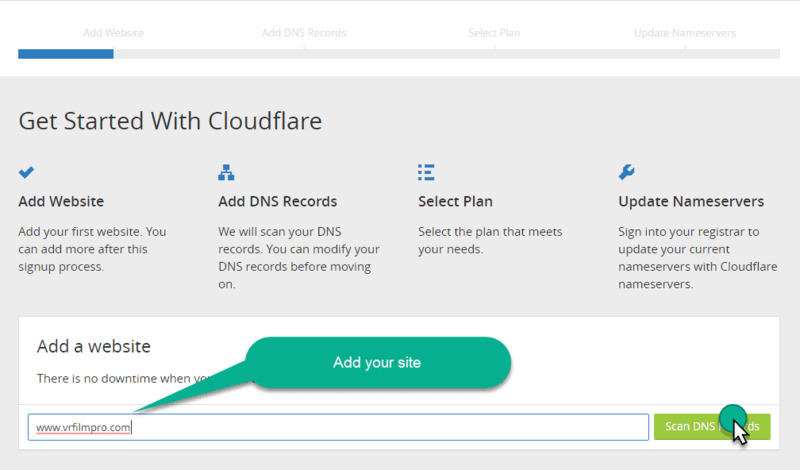 Setup a free version of the Cloudflare(CDN) account. If you have any suggestion or problem about “Speed Up WordPress” please feel free to comment below. I'm Professional Blogger, SEO, and Digital marketing expert. I started my blog in 2016 with the aim to share my knowledge and experiences for the people associated with my field as well as for the general public. you tell about wordpress, please suggest how i improve my blogspot blog speed.